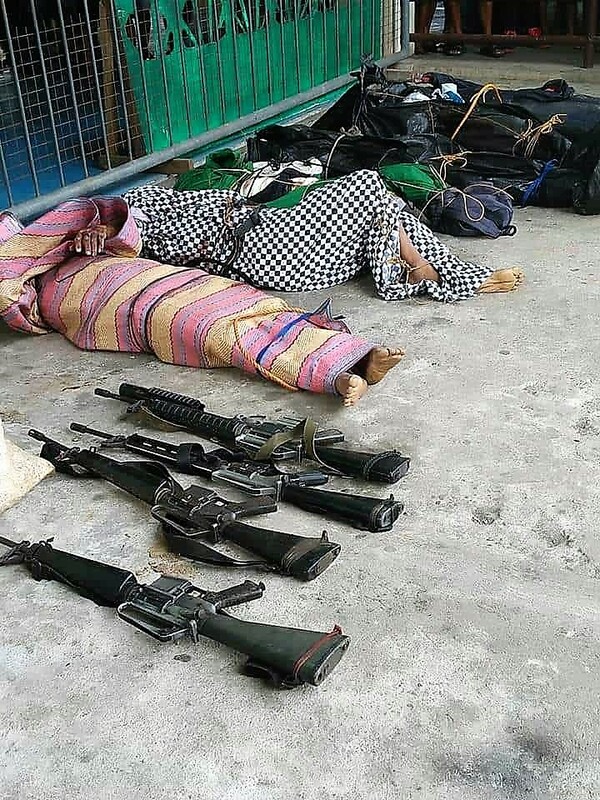 A successful military counterinsurgency tactical operations against the local guerilla front in Tinambac has inflicted human loss on the enemy side. Bodies of fallen Tinambac communist guerillas and their firearms. Sourced photo from PNP RPIO-5. Legazpi City, [01.30.19] – At least six body counts were accounted, four high powered assault rifles and several subversive documents were recovered by government troops in an encounter site in the vicinity of Barangay Lupi in Tinambac town, a report reaching Camp Brigadier General Simeon A. Ola said. According to Police Chief Inspector Maria Luisa C. Calubaquib, PRO 5 Regional Public Information Officer the encounter has occurred at 6:00 o’ clock in the morning at Barangay Lupi, Tinambac, Camarines Sur. The troops of 96th Military Intelligence Company (96MICO), 97th Military Intelligence Company (97MICO), 5ISU and 83rd Infantry Battalion, Phillippine Army has encountered more or less fifteen communist terrorists this morning. The enemies have withdrawn towards the direction of Barangay Tierra Nevada, Tinambac, Camarines Sur after the 20 minutes clash. No reported casualty in the government side. Identities of the casualties are not yet available as of posting time. The troops from one section of Scout Platoon, 83rd Infantry Battalion, 9th Infantry Division, Philippine Army under 2nd Lieutenant Rommel N. Limas encountered more or less ten members of communist rebels. The ten minutes encounter has resulted in the death of one unidentified enemy and the recovery of one M16 rifle, three backpacks, and one cellular phone.